Our new website is currently under construction! Slow Food Northern NJ has two primary goals: to foster earth stewardship through the development of school gardens in New Jersey and to support food justice programs in the underserved communities of the Garden State. 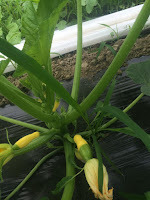 Slow Food Northern NJ is also dedicated to spreading awareness and nurturing appreciation of slowing down to enjoy healthy, locally grown food by connecting New Jersey residents with earth-friendly farmers, chefs, and food makers.